This dress is all about showcasing the gorgeous details. A simple background brings your focus to the adorable floral trim. Beadwork is added for a little sparkle. What girl doesn’t love to shine? The trim runs neatly along the square neckline, the waistline, sleeves and a double layer along the hem. A wide organza sash makes a pretty bow at the back of her waist. This dress features a square neckline, cap sleeves and below the knee length. 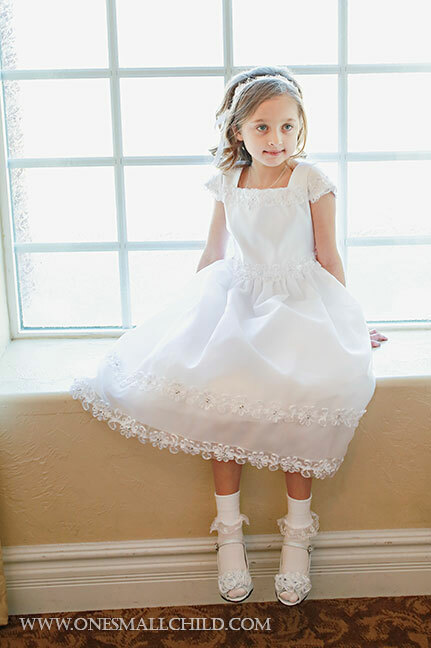 An understated ball gown silhouette is elegant, but appropriate for your little princess. We know she’ll feel so special in this shimmering dress! Finish her fancy look with the Diamond Tights, Nancy Shoes and Beaded Lace Headwrap. 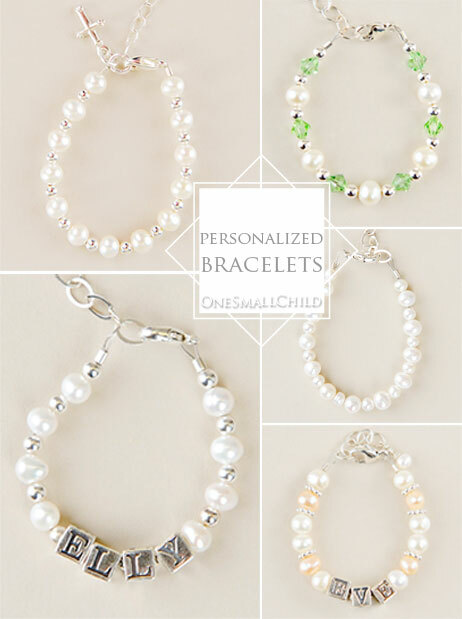 Each is perfect for accessorizing the Miss Natalie Communion Dress! A special occasion calls for a special gift. But what is considered appropriate? What will make her smile? What will make a lasting impression? 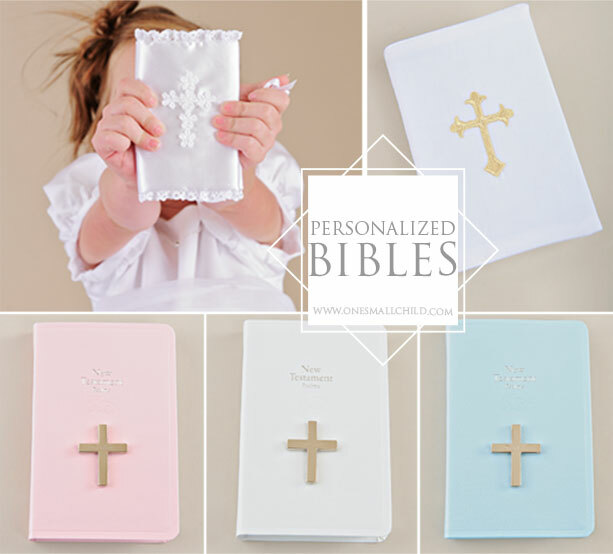 Today we’re sharing some First Communion Gifts that are just right for that special girl’s big day. Whether you’re her parent, Godparent or a special friend, these gifts are appropriate and heart-felt. 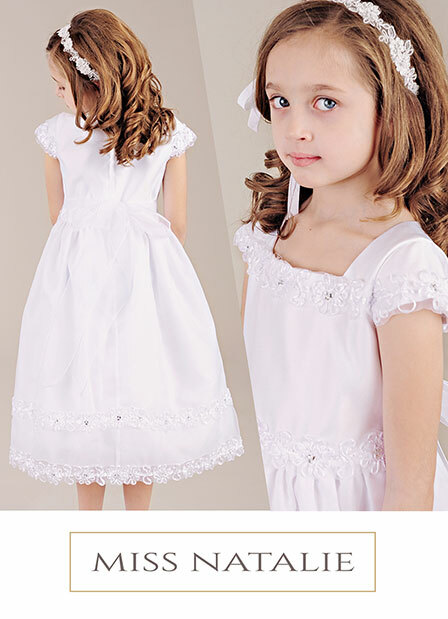 Looking for a summer Communion dress for your little sunshine? Check out the Miss Amanda! Everything about this dress is sweet and summery. It’s sure to make her special day just right! Let’s talk about all that embroidery. Pretty filler details are added to the embroidered flowers, stems and leaves for an even more elaborate look. Three embroidered scallop patterns finish the bottom of the bodice and skirt. Dainty five petal flowers are perched at each scallop point. All this on a fancy organza material. Sweet, short sleeves and a below-knee length make this a wonderful summer dress. A wide sheer organza belt ties at the back, offering a tailored look. Subtle gathering at the waist and a slightly flared skirt are just right for your little sweetheart. Pair the Miss Amanda dress with our Beaded Lace Headwrap and Ribbon Ballet Slippers for a sweet summer look. 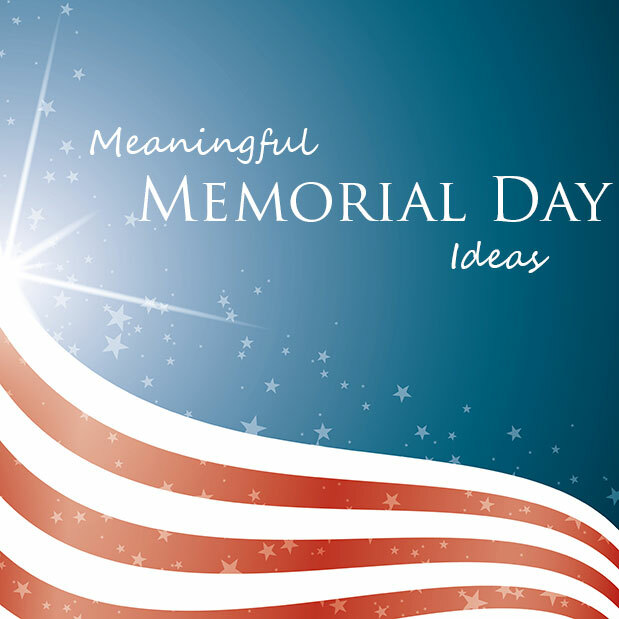 Looking for some meaningful ways to observe the Memorial Day holiday? Here are several appropriate family activities to do on Memorial Day. -Fly a flag. What a simple way to show your family’s patriotism as well as your support and appreciation for those who serve. -Serve a veteran. Have the kids make some patriotic artwork, bake some cookies and pay a visit to a vet that you know. In many communities, like ours, there are nursing homes dedicated to war veterans that are always happy to have visitors. If you’re lucky, your family could end up hearing some great stories straight from those who have been there. -Serve those on active duty. Put together and send a care package to someone on active duty. Be sure to include your kids’ finest patriotic artwork! If you don’t know anyone currently serving, AnySoldier.com is a website that will let you know who or where to send your gift. -Attend an event or monument. Check out what events will take place in your community. Many have Memorial Day parades. If not, visit a local military monument or veteran cemetery as a family. What a great opportunity to teach your children reverence and respect for those who have served. -Watch the national Memorial Day Concert. Check your local listings and tune in for some appropriate entertainment. -Sing some songs. Teach your children a verse or two of the Star Spangled Banner, or America the Beautiful. -Read some books. There are some great books that will help kids understand Memorial Day a little better. Check out your local library or purchase some just for the holiday. -Have a moment of silence. 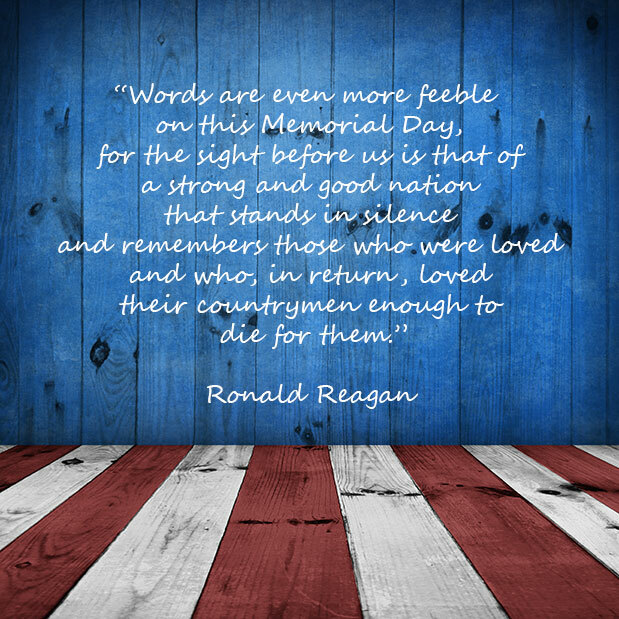 Don’t forget to honor the national moment of remembrance at 3 p.m. on Memorial Day. -Say a special prayer. Include the loved ones of those who have given their lives protecting our rights in your prayers. -Tweet. Tweets with #wearegrateful hashtags will be screened, printed and distributed on postcards to troops worldwide. -Discover your military roots. Do some digging into your family history and see if you can discover a great-great Grandfather Smith who was part of World War I. Maybe an ancestor served as a nurse at Pearl Harbor. You never know what you’ll discover! 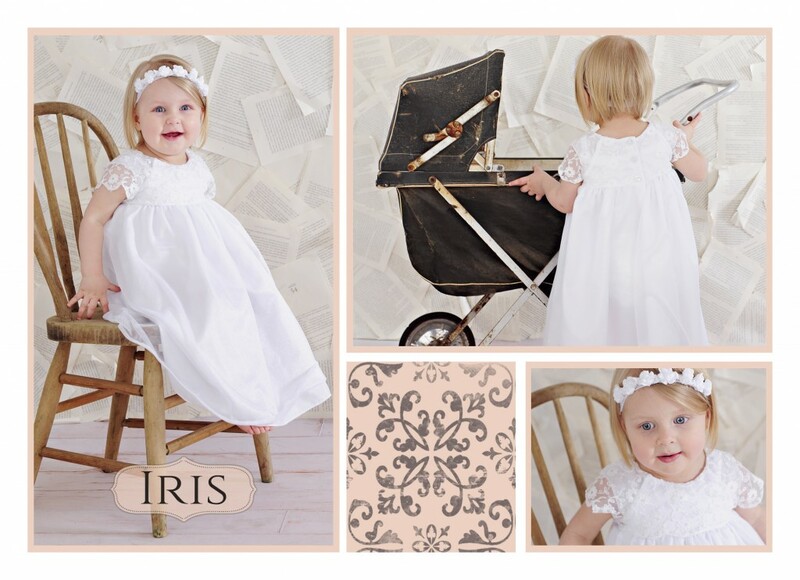 We’re excited to introduce the first of our Summer Christening Dresses 2015-the Iris Christening Dress. The new Iris Christening Dress is an empire waist gown fit for a goddess! It features a bodice with a modern floral embroidery pattern. The shimmery skirt gracefully sweeps her ankles. Scallop-edged cap sleeves allow for full arm range of motion. The light-weight materials are just right for warm summer weather. 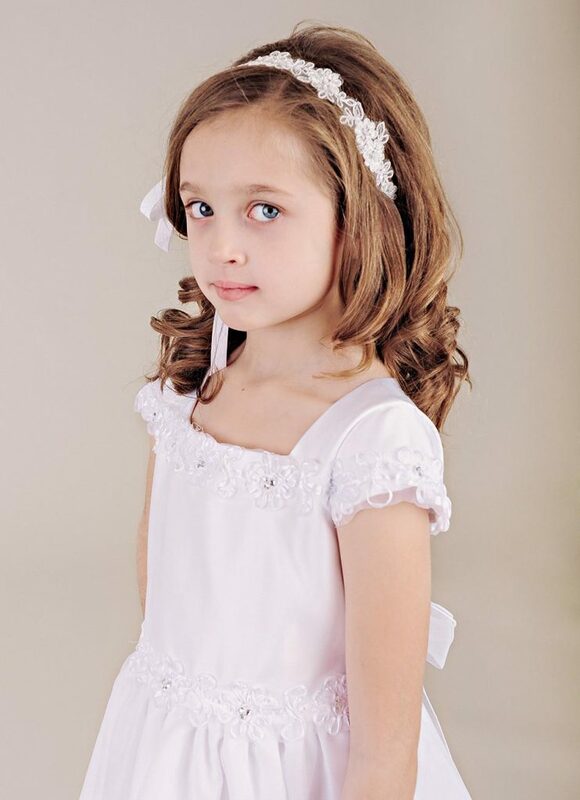 The bodice and skirt are fully lined with the softest of fabrics for your little muse’s comfort. We simply delight in this demure Christening gown. Bringing to life a piece I have been dreaming up is always a beautiful day for me. This gown is just as I had imagined it and seeing it on a little one is a true delight. To make it even better, the gown is machine washable! Having children myself I know the comfort in sometimes having something you can launder yourself instead of taking into the dry cleaners because there is only so much time in the day! This gown could also work for a flower girl dress with a colorful sash added on and even for delightful family photos. Versatility is a wonderful touch with this gown, and I know you will just love one of our newest Summer Christening dresses! Complete the look! Combine the Iris with our Leather Ballet Moccasins and Jewel Lace Bow Headband for a modern look. Shown above with our Carnation Halo Headband. Her First Communion is a very special occasion. After all, it’s a once-in-a-lifetime event. 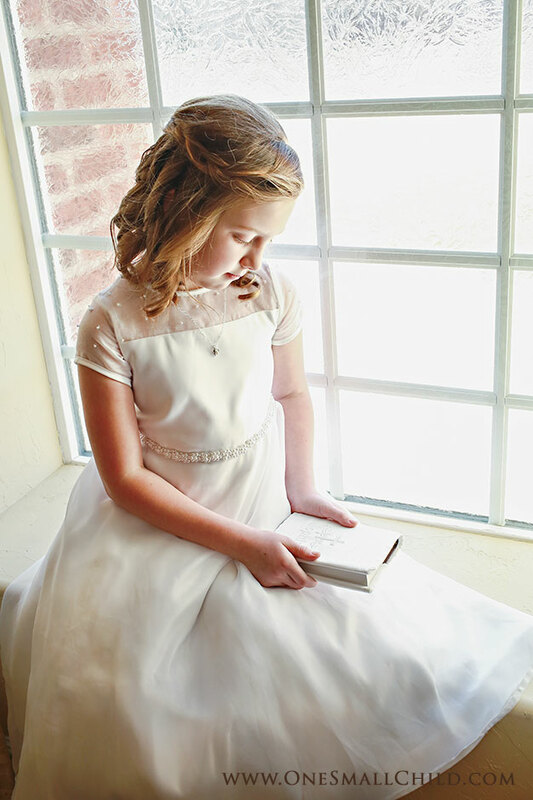 Make her big day memorable with these First Communion traditions! A good breakfast always makes the day go better! Cook up their favorite breakfast food and make a mini celebration out of it! This would be a good time to let them open their special Communion gift. Present a special gift to them. A little something special to send them off with will let them know you’ll be thinking of them during the ceremony. Tell them you hope the little trinket will let them know just how much you love them. We like the idea of a special piece of jewelry for a girl and a tie tack for a boy. These mementos will be cherished long after the festivities are over. Let them dress in special clothes. Splurge on a fancy new dress or suit. For a girl, get a veil and all the accessories. For a boy, consider an old-fashioned Communion armband. A new outfit will let them know this is a special day that means a lot to you and will mean a lot to them as well. 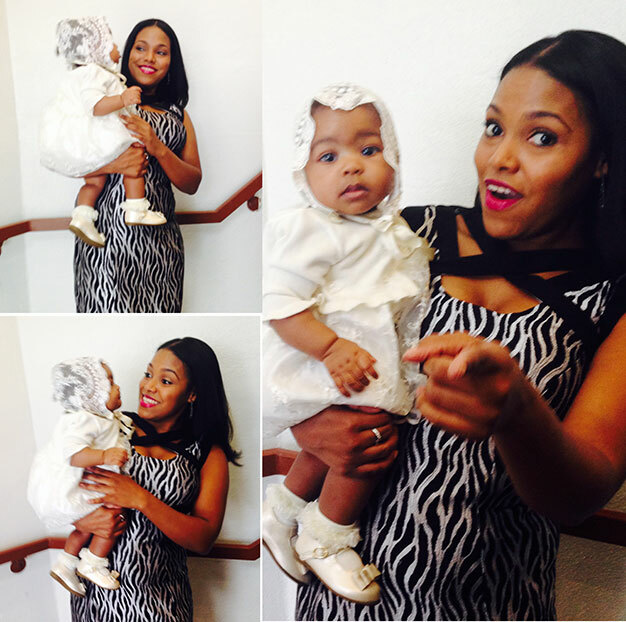 Your child will appreciate the support of her Godparents on this big day! Have a professional photo shoot. Invest in a professional photographer to preserve the memory of this special day. You’ll never regret having a good photo taken. Throw a First Communion Party. Invite all her friends and family to celebrate the occasion with you! Make a special cake and serve your little sunshine’s favorite foods. Put out decorations! Make it extra special for your child by stringing a banner with their name on it. Make their First Communion day all about them! Light their Baptism candle at dinner. The baptism candle is traditionally lit at special occasions like a child’s First Holy Communion. Dinner time is perfect for a little candle-light! Say a special prayer for your child at dinner. Finish the days festivities off with a special, heartfelt prayer. Have your child get their items blessed by the priest. After they receive their gifts, take them to Mass with you the next Sunday and have your child request that the priest bless them. Share with us! 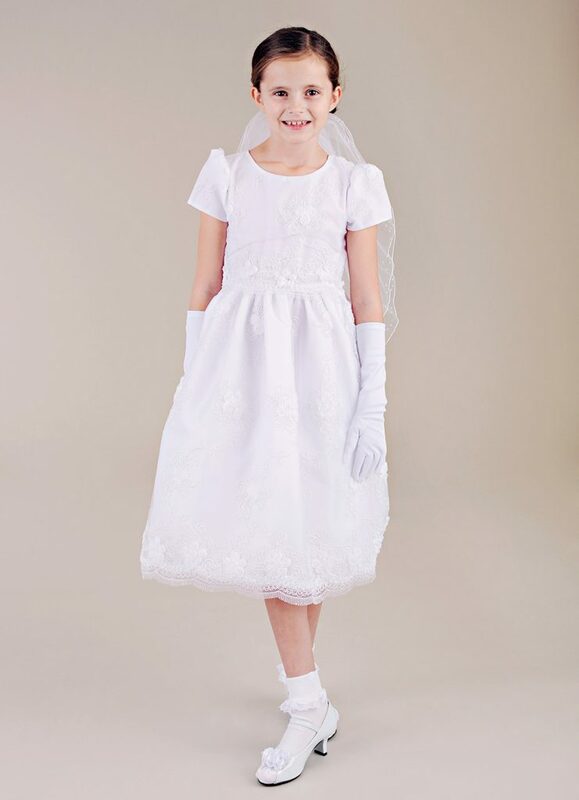 We’d love to hear what traditions made your First Communion special! -Tell us a little about your family and why it is special? My little family consists of myself, and my super strong, adventurous, smart, loving 7 month old baby girl- Amel. She makes me want to only do things she can be proud of. Amel is so smart. She learns very quickly. She learned her first word at five months old! (it was “Buh-Bye”). The most special thing to me is how happy she is. She’s the smiliest baby I’ve ever known. She melts my heart. -What do you do for work/volunteer outside of being a wife and mom? I have a career in music as a singer/songwriter and have been writing music for myself as well as other artists such as Taylor Dayne, Chrisette Michelle, and Kenny Lattimore to name a few. My daughter has loved music since utero. I traveled and worked into my ninth month from studios in Los Angeles, New York, and Miami. She danced a lot in the last 3 months. Now that she’s here, she pretty much dances to anything that she deems musical. She’s my total focus now. She has inspired me to produce a sing-along album for children and take a break from the serious side of music for a while. -Is there something your family does on a regular basis for quality time? Amel loves to read or be read to. She also loves bath time. So we take our bath together, relax, and wind down for the evening. Then she gets her cream massage, into her pajamas and we choose a book to read. Once that’s done-its feeding time. Amel loves her milk! She dream-feeds to this day. I’m going to miss that bond once her teeth come in. -How do you take time for yourself to recharge? I either take a bubble bath with a magazine and a mug of milktea, or If we’re in New York, I’ll take a trip to Spa Castle and enjoy a mineral bath. -What is your go to, never fail and in a pinch recipe? Either My Shrimp Scampi with mashed potatoes, or my Kielbasa with peppers and onions with pasta. Both recipes are so quick and easy and borderline impressive in a pinch, not to mention delicious. -What is the one product you can not live without? I can not live without my Bulgari Au Blanc Fragrance. Its a major part of my daily ‘Armure Feminine’. My mascara, my lip balm, and my fragrance are like the ‘S’ on my chest. They make me feel invincible. 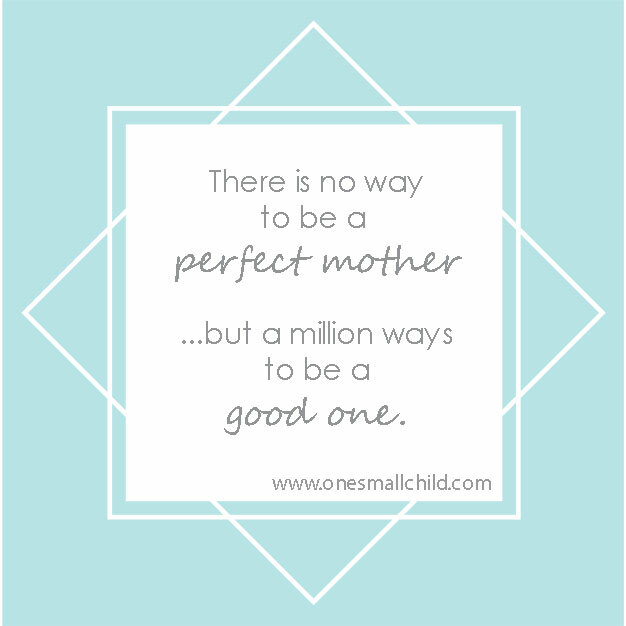 To celebrate our efforts as mothers. Wishing you a wonderful Mother’s Day 2015.